Lidstone - Commercial Finishing. J H Lidstone are situated just off Alexandra Road in the Mutley area of Plymouth, Devon. 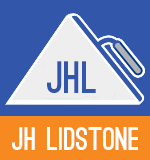 J H Lidstone are situated just off Alexandra Road in the Mutley area of Plymouth, Devon. Fill in our quick and easy online form and we'll call you back as soon as possible.